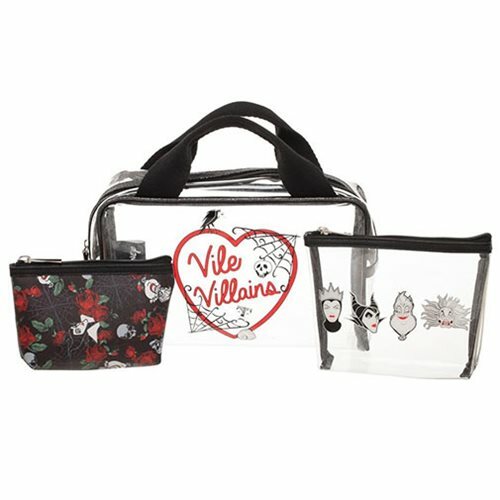 Keep your toiletries or beauty products organized with this Disney Villains Travel Bag 3-Pack Set. It includes 1x large exterior bag and 2x smaller inner bags. All with zippered closures, the large bag includes a handle for easy carrying. The large exterior bag measures approximately 10 3/4-inches x 7-inches x 3 1/4-inches. 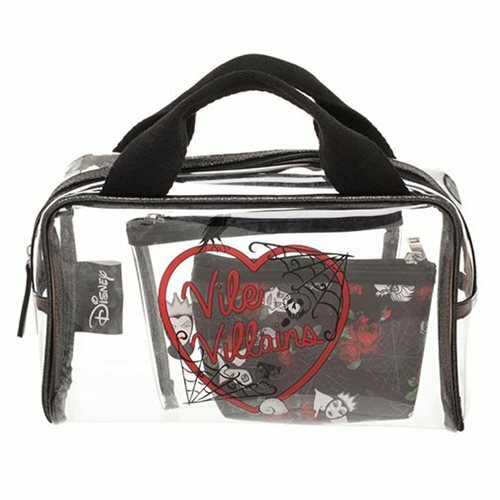 The medium inner bag measures approximately 6 3/4-inches x 5 1/2-inches. The small inner bag measures approximately 6-inches x 4 1/2-inches.